With it's wonderful abstract pillar detailing and glass top this coffee table is a fantastic must have addition in any home. A truly exceptional item that is guaranteed to last generations. 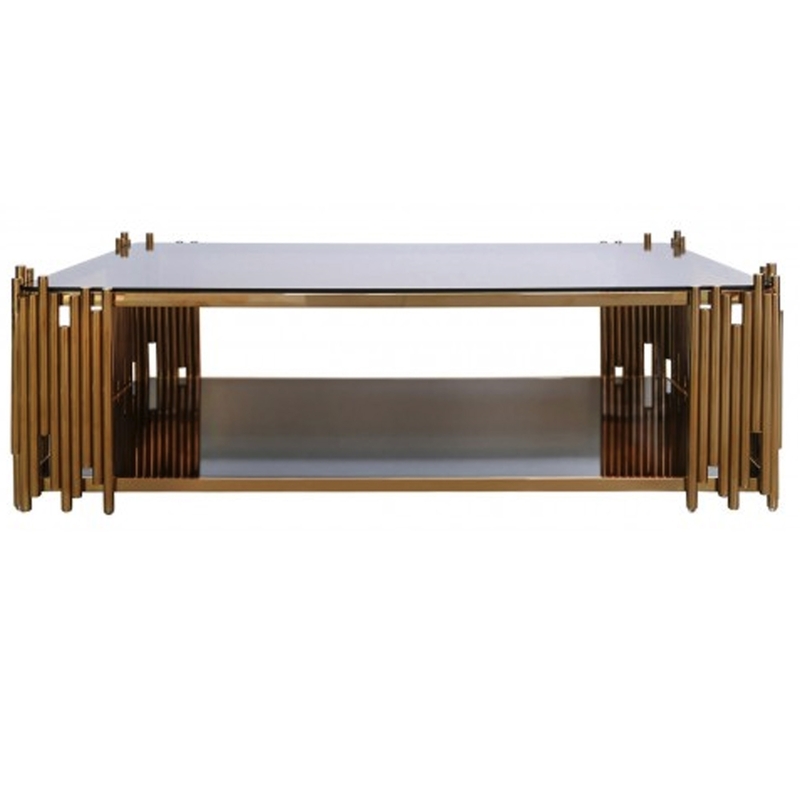 As is the case with all of our items, this unit is handcrafted by experts using metal and glass. Finished in a rose gold, this delightful piece works wonders in a modern setting.